Normandy may look pretty and serene today, but this province on the west coast of France hasn’t always been this way. From the ninth century onwards the region was colonized by the Vikings and took its current name, Normandy, the country of the Northmen. 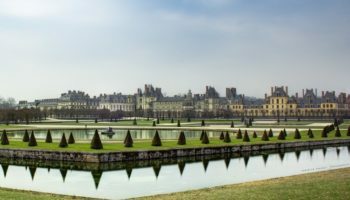 Over the next centuries, many battles were fought between England and France, but the biggest occurred in 1944 when Allied forces wrested it back from Nazi occupiers. 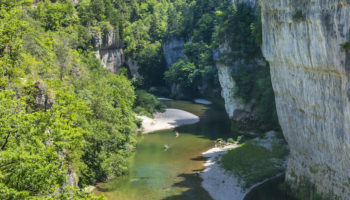 As you roam the best places to visit in Normandy, you’ll come across these historic battlefields, as well as magnificent medieval buildings, gorgeous gardens and some pretty great food. Normandy celebrates its food with festivals devoted to such eats as cheese, black pudding and shrimp. Due to its strategic location on the French coast, Cherbourg has been important militarily, with Louis XVI and Napoleon making it first rate. A French Navy arsenal is located there today. It also is an important port for fishing and yachting. A cross-channel ferry runs between Cherbourg and Great Britain. As might be expected in a coastal town, many tourist attractions center around the sea. There’s the Redoubtable, the world’s largest submarine that is open to the public, and La Cité de la Mer with its 17 aquariums. Take time to visit the Museum of Liberation at old Fort du Roule and the historic town square. Caen may look like a relatively new city, but appearances can be fooling. The city was rebuilt after being heaving damaged following the 1944 D-Day invasion of Normandy -The Memorial de Caen commemorates this. Nonetheless, it’s known for its historic buildings constructed during William the Conqueror’s reign. The man who conquered England in 1066 is buried here at the Abbaye de Hommes. 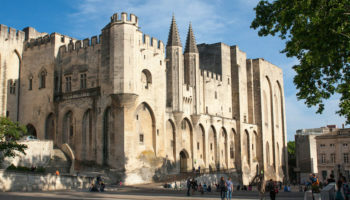 A key attraction is the Chateau de Caen, one of the largest medieval fortresses in Europe that William built. It houses museums today. William also built two abbeys in honor of his bride, Matilda of Flanders. Known as the Parisian Riviera, Trouville and Deauville are like two sisters from different mothers. They both have beaches, boardwalks, casinos and Belle Époque villas. There the resemblance ends. Deauville, which was featured in the ‘60s French movie, A Man and A Woman, is traditional, hosting film and jazz festivals, regattas and golf tournaments. 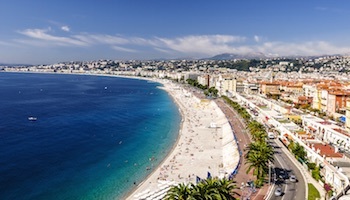 France’s oldest seaside resort attracts the rich and famous. Trouville, across the river, is casual, laid-back and more family oriented than its sister. If’s a playground for the middle class and home to a working fishing port. You can easily experience the charms of each city as they’re just a five-minute boat ride apart. Rouen, the capital of Normandy, is known for many things, including being the city where Joan of Arc was burned at the stake in 1431. 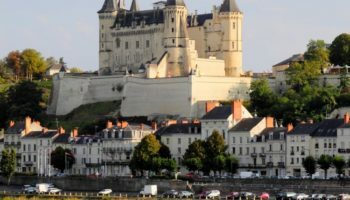 Like Caen, it figured prominently in the Hundred Years War and later served as the capital for a kingdom that included England and large parts of France. 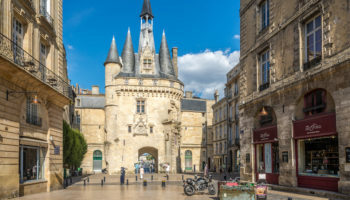 Old Town is full of historic delights, including the magnificent gothic Notre Dame Cathedral, which was painted 30 times by Claude Monet, and where the heart of Richard the Lionhearted is buried. Stop by the Gros Horloge, the town clock that dates back to the 14th century. 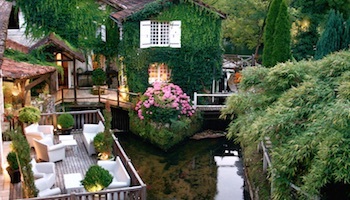 The French Impressionist painter Claude Monet loved Giverny from the moment he saw it from a train window. He moved there and created beautiful gardens. Then he created beautiful paintings, such as his famous Water Lilies, of his gardens, the primary reason travelers visit the town today. 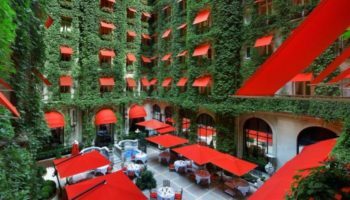 After touring his house and gardens, you’ll want to visit the Museum of Impressionism that is dedicated to this particular genre of art. Monet is buried at the Church of Sainte-Radegonde de Giverny, a pretty and historic church with parts dating back to the 11th century. Honfleur is a picturesque port city on the Seine estuary. It’s known for its slate covered house fronts that were so popular with 19th-20th century Impressionist painters. During the Middle Ages, this 1.000-year-old town was an important maritime trade center. 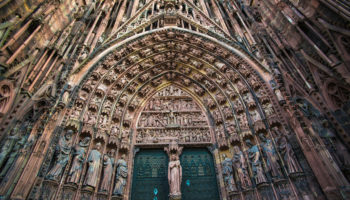 After touring the port area, you’ll want to stop by the largest wooden church in France, the 15th century Saint Catherine’s. A bell tower separates the two naves and is topped with a sculpture of Catherine holding a wheel and sword. Musicians decorate the Renaissance balcony. Other attractions include two old barns where salt to preserve fish was stored and a crayfishing sloop. Bayeux, founded in the first century BC, is famous for the Bayeux tapestry, a 70-meter (230-foot) long work of embroidery that features 75 scenes of William the Conqueror invading England in 1066. It is on display at the Bayeux Museum. Nearly 900 years later, Bayeux became the first French town to be liberated from the Nazis during the D-Day invasion. At the carefully tended British War Cemetery, you can see the graves of more than 4,000 casualties of the battle; most are British soldiers. Bayeux Old Town is just made for wandering, so be sure to wander by the gothic Notre-Dame Cathedral that was consecrated in 1077. One of the greatest invasions of all time took place on June 6, 1944, when more than 160,000 Allied troops landed on five Normandy beaches: Their mission: to liberate France and then the rest of Europe from Nazi occupation. Before the bloody month-long Battle of Normandy was over, more than 10,000 Allied soldiers would die on the beaches of Omaha, Juno, Gold, Sword and Utah; several thousand Germans also died in the battles on this 80-km (50-mile) stretch of French coastline. Today, the D-Day beaches are marked by war cemeteries, memorials and museums. Etretat, a small resort city on the English Channel, is known for its white chalk cliffs, natural arches and the “needle,” a 80-meter (262-foot) high conical formation just off shore. Two arches can be seen from the town boardwalk and its white pebble beach. You can also walk through Falaise Aval arch at low tide. 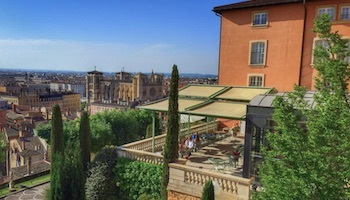 The hill above with the Chapel of Notre Dame provides great views. Etretat is also famous for being the last place the White Bird was seen in 1927. The biplane was piloted by two French pilots hoping to be the first to fly the Atlantic non-stop. They were never seen again. 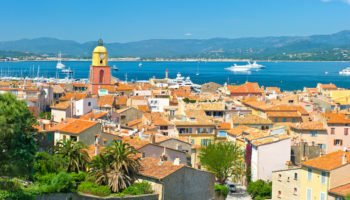 Sometime in the 8th century, the Archangel Michel, head of the celestial militia, ordered a small church to be built on an island hill just yards off the coast of France. 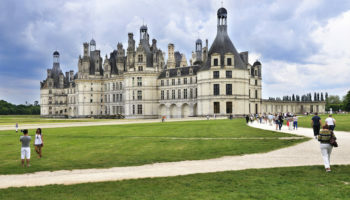 Three centuries later, a Benedictine abbey would be added. That complex became known as Mont Saint-Michel, one of the most unique places to visit in Normandy. A wall was added during the Hundred Years War. Take time to wander through the quaint village that sprang up during the Middle Ages. Because some of the highest and strong tides in the world can be found in this bay, accessing the island is safest via the causeway.